Our fall benefit concert is entitled, "In Praise of Peace," and seeks to raise awareness of peace efforts. Past concerts have featured Montana Logging & Ballet, Bill Bowers, Rob Quist and Jack Gladstone, Ronnie Bedford, Roger Kellaway, David Friesen, The Midlife Chryslers, The Drum Brothers, Big Sky Chorus, "Middle Grounds" representing Iran, Israel, Syria, Iraq, and Palestine, Janie Rife Sutton, the full RMC Concert Band, and violinist Ana Strong. The 2018 Benefit Concert and Awards Ceremony will be held on Saturday, October 27 at Losekamp Hall on the campus of Rocky Mountain College. 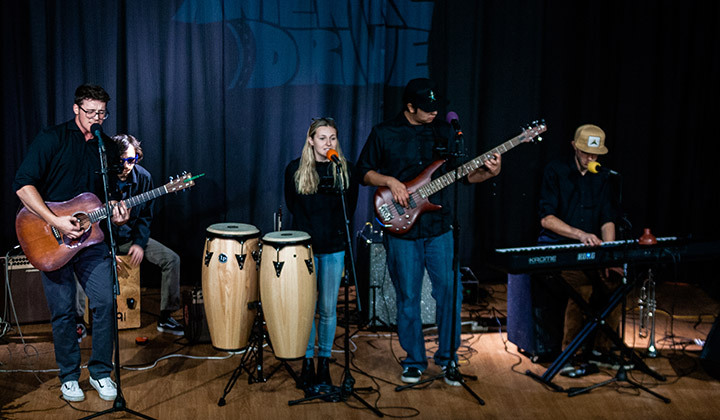 We will have a short concert featuring local musical group “Arterial Drive” and induct Lynda Bourque Moss as a member of the esteemed Jeannette Rankin Peace Award Alumni. Tickets are on sale now, contact our office at 406-657-1042.